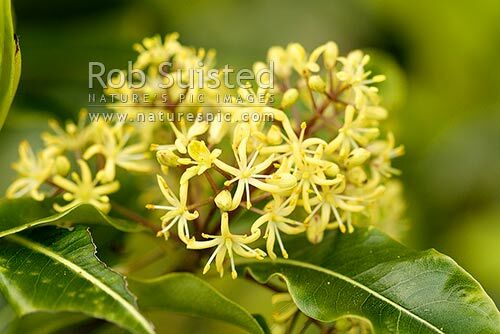 Flowers and leaves of native Lemonwood (Pittosporum eugenioides). Maori name is Tarata. Native, New Zealand (NZ), stock photo.